My name is Elide. I'm a proud Mexican girl who has lived in the same town since she was born. The reason I'm here in this program is because I think it is a great opportunity to let myself open up to new people and to learn how to be better leader. I've always thought that I had good leadership skills but it's always a good idea to try and polish those skills and learn new skills too, that is why I'm here. I want to become the best that I know I can be become and in order to do that I have to try and get as much practice and help as I can. What I lack sometimes is the ability to speak up and demonstrate my ideas, that is something I need to practice and polish. I want to become a better leader so it can help in my future and in the long run. These are just some reasons on why I want to be a good leader. So, today we were at a challenge course and I wasn't expecting it to be a ropes course. 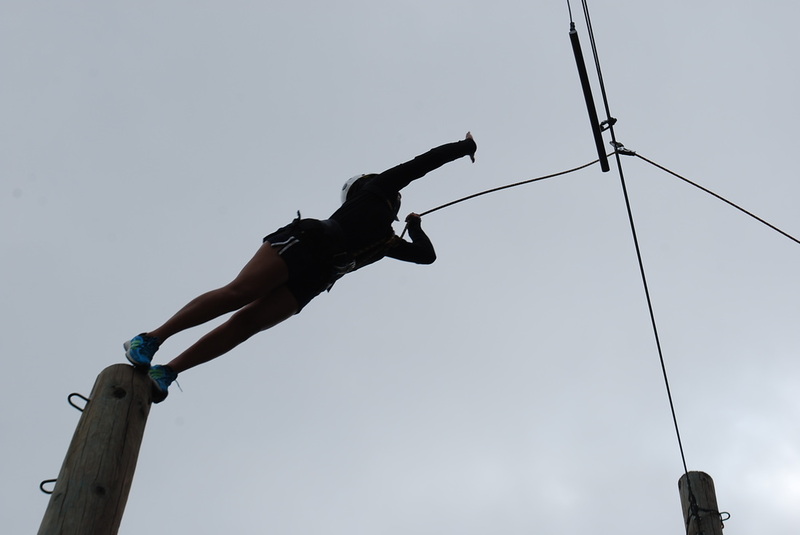 There were many obstacles which included zip lines, logs, and lots of ropes. After I saw the structure I got excited and nervous to try all the obstacles. The first one I wanted to do was the zip line, which I did do, it was fun and a bit scary at the same time. I went on the power pole next, I was terrified! As you can see on the left I had to jump off a pole in order to get a bar far away from me. I'm proud of myself to try it even though I have a small phobia over heights. It was a great experience that taught me how to stand up to my fears and that even though I might miss or mess up I can always try again. .
Up above the video was made by a friend and me.